ISUZU N SERIES. OUR MOST FUEL EFFICIENT LIGHT TRUCK. It’s a sipper. Not a slurper. WITH MOST OTHER TIPPERS, YOU'RE STUCK IN THE MIDDLE. The NLR Tri-Tipper is just one of 12 tippers in the Ready-to-Work Range, so you're sure to find a Tipper that works for you. Replace with genuine parts and we'll replace the original warranty. Looking for a quality, reliable used truck? Let us help you find the perfect vehicle for you. Convenient and quick - make your service booking online. With years of experience and competitive rates, our finance team are waiting to help you. Make an enquiry now. Click Here to search the great range of New Vehicles in stock at Brisbane Isuzu. Brisbane Isuzu offer great specials on trucks and accessories. Click here to view our latest offers. 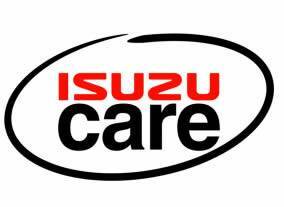 As an Isuzu dealer, Brisbane Isuzu provides an in-house Customer Care Centre, with customers also having access to an extensive range of service and support programmes designed to ensure that Isuzu truck ownership is a positive and rewarding experience for all concerned. Located in Brisbane, Queensland and with three locations, we are your #1 choice for Isuzu vehicles. We have been serving the greater Brisbane area for over 17 years and our website contains news and information on the popular range of Isuzu Trucks. Visit our virtual showroom to see the latest range of Isuzu Truck models, browse our Internet Used Vehicle stock, online specials, book a service or purchase Isuzu Truck Genuine Parts and Accessories from our comprehensive catalogue. To see the great range of Isuzu UTE models we also have available, click on the Isuzu UTE logo below.